BACS is delighted to announce a historic grant from the Jonathan Logan Family Foundation, which awarded BACS $100,000 to support our housing & homeless solutions programs in Oakland. Additionally, the Jonathan Logan Family Foundation has offered a $50,000 challenge grant. We need community support to help us meet this match. You can make a gift towards this goal and double your impact: donate now! Thanks to this generous support from the Jonathan Logan Family Foundation, BACS will be able to support homeless individuals through our Housing Fast Support Network, ensuring they have access to all the necessities it takes to move from homelessness to housing. BACS is delighted to celebrate the 25 year anniversary of BACS’ Intensive Care Coordination / Case Management Program. BACS opened our Case Management program in 1993 to fill a crucial need in the community: providing psychiatric services and care coordination for people with severe behavioral health issues and trauma. 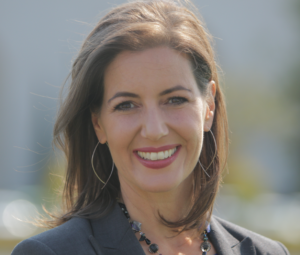 Veronica has lived in the Bay Area her whole life, and raised her four children here. 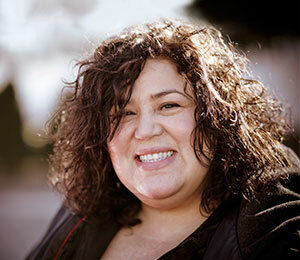 But when she got into a car accident and could not afford to keep her housing along with her bills, suddenly Veronica was homeless and dealing with addiction to pain medication. 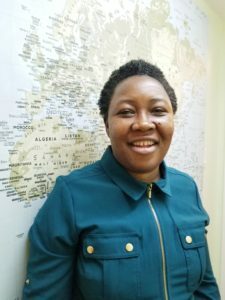 She came to BACS to get her life back on track – and today, she works at a hospital, has a home, and is connecting with her family. Congratulations on your successes, Veronica! BACS is delighted to honor Marian Asu, Accountant with our Finance Team, as Employee of the Month! BACS is delighted to announce the official opening of Thunder Road Adolescent Treatment Center as a BACS program, as of August 1, 2017! BACS is honored to be bringing our substantial experience and expertise to ensure continuity of a critical community program. Thunder Road is the only program of its kind. Thunder Road helps youth with mental health and substance use issues, which can prevent lifelong issues including becoming caught in the justice system. 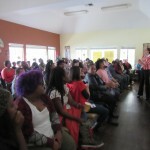 BACS’ Thunder Road uplifts these youth. We look forward to connecting with the dedicated Thunder Road community. If you are a supporter or Thunder Road, or someone who has been supported by Thunder Road, you can stay connected to program updates and events by emailing us. 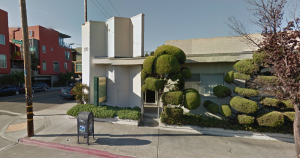 BACS is transitioning this program from our Sutter Health partners who have run it for decades and that it needed a new home and BACS stepped up to the plate to ensure its continuity. Thunder Road, located in Oakland, has served more than 7,000 people since it began in 1987. Thunder Road makes sure nobody falls through the cracks, through intensive inpatient and outpatient services that are proven to succeed. Our BACS team is delighted to bring Thunder Road into the fold of our programs, to keep this crucial Bay Area program in operation. You can read our full announcement here. CARF, the Commission on the Accreditation of Rehabilitation Facilities, visited BACS from July 24th to July 27th. BACS was delighted to host CARF at our sites, to demonstrate the quality of performance of our services, and to accept recommendations as part of our Continuous Quality Improvement process. 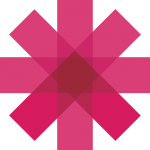 CARF International is an independent, nonprofit accreditor of health and human services. CARF accreditation focuses on quality, results. The accreditation process applies sets of standards to service areas and business practices during an on-site survey. Accreditation, however, is an ongoing process, signaling to the public that a service provider is committed to continuously improving services, encouraging feedback, and serving the community. Accreditation also demonstrates a provider’s commitment to enhance its performance, manage its risk, and distinguish its service delivery. They are doing a ‘deep dive’ into our programs, helping BACS achieve excellence! BACS celebrates our wonderful staff members each year at our Annual Staff Appreciation BBQ! 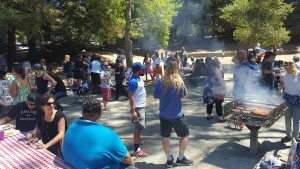 This year, 120 staff, friends, family members, and pets of BACS spent a beautiful day in the sunshine at Lake Chabot. Our team celebrated each other and the hard work each person has done over the last year. BACS is fortunate to have an incredible, talented, and dedicated staff. Thank you to everyone who came! BACS is welcoming Michael Ward, Esq., as the new Senior Director of Administration! 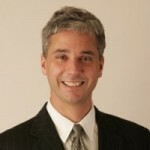 Michael is retiring after 22 years as an attorney, partner, and managing partner for an Oakland-based law firm where he managed all business operations including finance, IT, marketing and development, facilities, compliance, HR, and also held numerous non-profit accounts for the corporation. 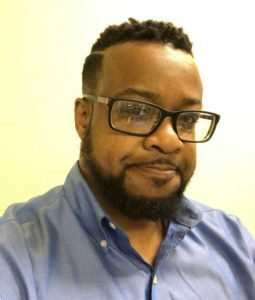 Additionally, he has held board chairpersonships with sister agencies including his current role with Beyond Emancipation, prior board and advisory roles at Fred Finch Youth Center and East Bay Community Law Center. 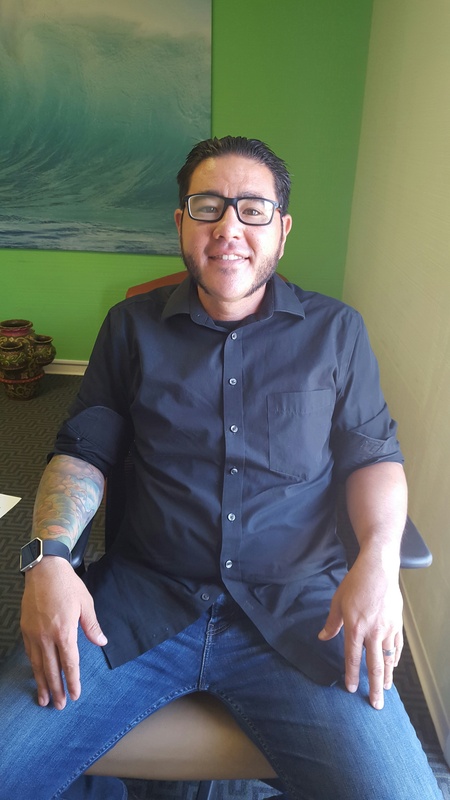 Earlier in his career, he worked in a residential treatment facility as a rehab counselor and is very excited to step in to our agency to manage our QI and administrative functions. Michael holds a juris doctor from UC Berkeley School of Law, and a Bachelor of Arts in Political Science from Stanford University. 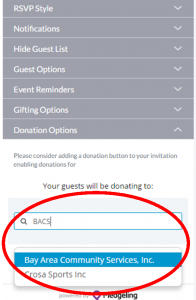 Host a Party, Help BACS! 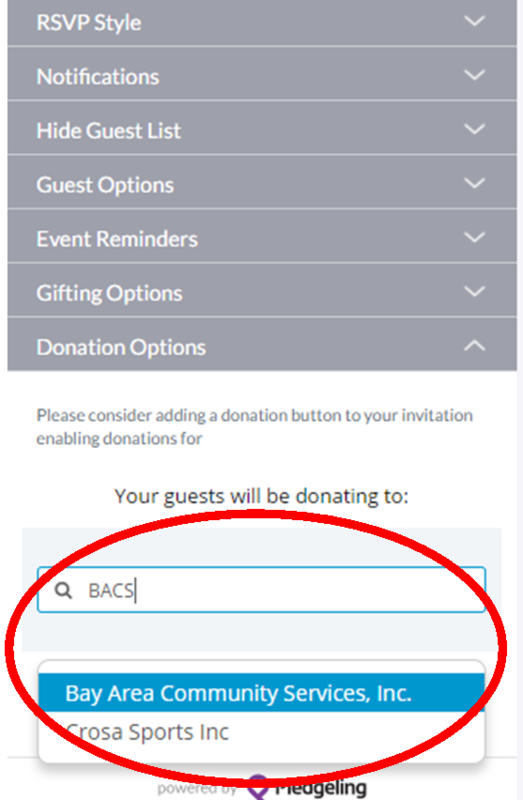 Are you hosting an event, and rather than gifts or flowers, planning to ask for donations to BACS? When you are creating your Evite, in the event options on the right side of the screen you will see a Donations Options tab. Click it to open, then type “BACS” into the search key. Select Bay Area Community Services, Inc.
Then, guests can make charitable donations directly to BACS! If you need assistance, please email us. 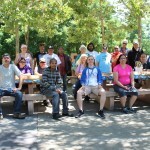 A pleasantly breezy 85 degree day greeted the picnic hosted by Valley Wellness Center. Valley, South County and Hedco Wellness Center communities chipped in supplies such as cakes, cookies, water, potato and macaroni salads, chips. Hedco filled out two vans with enthusiastic members! The charcoal grilled hot dogs were a treat. The scratch made baked beans with left over barbecue rib meat made by Hedco’s Member of the Month Mr. V were well appreciated. There was some football tossing before the heat wilted that idea which was when Kelly brought out her cache of water guns and a bubble machine. Much laughter was had by all. The afternoon of fun and play ended with Dave leading Simon Says until he ran out of moves and passed the role of Simon to member Susan. BACS is delighted to honor Tamahtra McClure, Employment Coordinator with our IPS team, as our Employee of the Month! 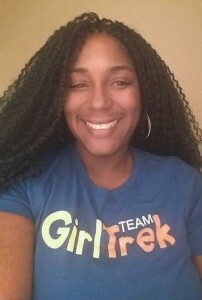 Congratulations, Tamahtra, and thank you for all you do on the BACS team! BACS is happy to celebrate the anniversaries of three of our programs: IPS Supported Employment (2013), OPC (2011), and PEP (2014). 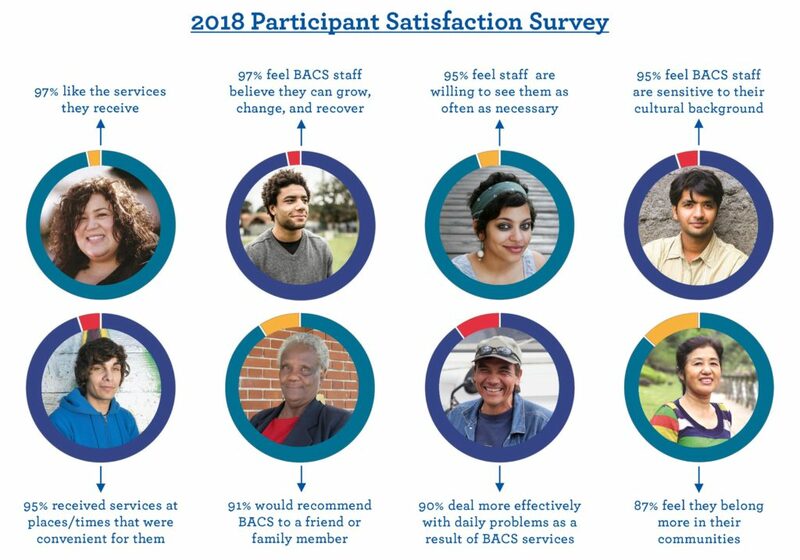 BACS opened PEP, a prevention and early intervention program, to provide brief services for individuals exiting inpatient hospital stays, or experiencing early-stage behavioral health issues, who need support to prevent relapse and promote well-being. PEP was also BACS’ first program in Solano, and opened the door for us to provide many more services. 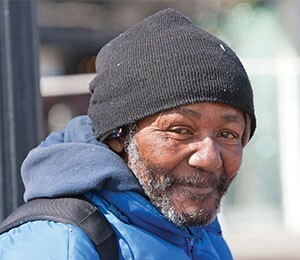 OPC provides outreach, housing and financial support, mental health and care management, substance use, and primary care to individuals who are homeless and have mental health issues. IPS provides job placement services to help individuals with complex needs find competitive, satisfying, and sustainable employment to uplift them from poverty. Drug overdose was the leading cause of accidental death in the U.S. last year – but it is preventable. Narcan, an FDA-approved emergency treatment for opioid overdoses, is one of the best ways to help someone who has overdosed. BACS is committed to doing whatever it takes to help our community, and we are committed to a harm reduction approach to treatment. Our downtown Oakland program site hosted HEPPAC to do a Narcan training, so that we can help high-risk individuals. BACS’ goal is to have at least one person at each site who is trained in Narcan use, to further education around overdose prevention and to save lives. 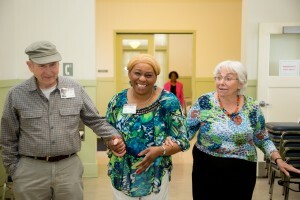 North County Senior Homeless Program Celebrates 9 Years! BACS is pleased to celebrate the 9 year anniversary of BACS’ North County Senior Homeless Program (NCSHP). 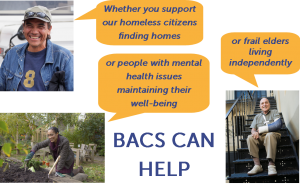 BACS opened NCSHP, a full service partnership program, in 2007 to fill a crucial need in the community: outreach, housing and financial support, mental health and case management, substance use, and primary care to individuals who are homeless and have mental health issues. Our NCSHP team has made a difference for hundreds of people over the last 9 years. Learn more about our Full Service Partnerships here. Scot, a participant with BACS’ Supported Employment IPS program, has worked in customer service on and off for years, but due unstable housing he had not been able to maintain employment for longer than a few months. After expressing his interest in going back to work, he had his eyes set on working as a cart attendant. After entertaining several interviews, Scot received a call back from one of his top choices, Target. 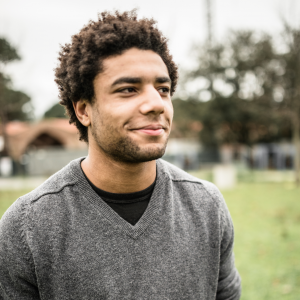 Now, he is happily employed at his goal job – congratulations, Scot! 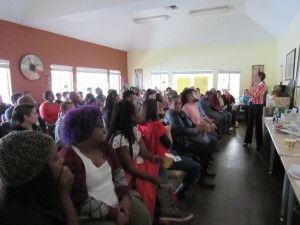 The Alameda County BHCS Vocational Program, in collaboration with Bay Area Community Services and other Community Organizations and supporters, recently hosted the Second Annual Northern California Individual Placement and Support (IPS) Learning Conference. The IPS Learning Conference goal was to raise awareness and interest around the IPS Evidenced Based Practice and how meaningful employment facilitates wellness and recovery, hope and self-efficacy, for individuals living with severe and persistent mental illness. At the conference, over 130 Agency Leaders, Staff, Consumers, Family Members and Advocates, gathered to pose intriguing questions, explore diverse opinions and experiences, challenge assumptions and share successes and struggles – In essence, to learn from one another. 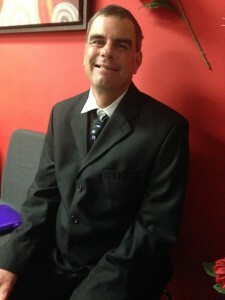 To learn more about the Individual Placement and Support model, please visit http://www.dartmouthips.org/. And come join the discussion! Congratulations to our June Employee of the Month – Jimmy Mun, Support Counselor for the Care Management Program. Jimmy is incredibly dedicated to his work, and always keeps a positive attitude. He improves staff morale across the agency, and in the community where he spends much of his time. Jimmy is willing to go the distance and to take his team to the next level. Jimmy embodies compassion, professionalism, and a Whatever It Takes approach and that embodies all of the BACS values. I recall when you first started the conversation we had about how challenging the Care Management work is and that it takes a very special person to see and create resources for the most vulnerable elders of our community out of thin air: and you excel at it! Congratulations, Jimmy, and thank you for all you have done and continue to do to make our agency and program so strong. Do you want to join BACS in our mission to uplift under-served individuals and their families by doing whatever it takes? The community has asked us to provide more services than ever, based on need. In 2016, help us make this possible! 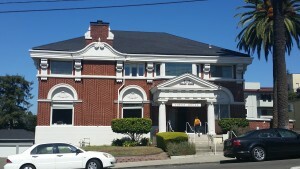 Donate to BACS online by clicking here, or via mail to 629 Oakland Ave, Oakland, CA 94612. BACS services are always expanding, and we are currently recruiting! Check out our job opportunities. Learn more on our website or by calling 510.613.0330.